Javier has led the Foundation for the past ten years through a period of significant growth that has positioned the organization as a prominent civic and philanthropic leader in the South Florida community. He has led the development of key Foundation projects including the “Our Miami Report”, a biennial report providing a data-focused picture of Greater Miami’s quality of life, showing the community’s greatest challenges and opportunities, and “Give Miami Day,” a 24-hour, annual online charitable giving event that has raised more than $47M for over 750 Miami-Dade County nonprofits since 2012. Prior to joining the Foundation, Javier served as Senior Vice President and General Counsel at Grayling, a multi-disciplinary public affairs firm. He spent much of his career in the public sector, beginning as a litigator in the Miami-Dade County Attorney’s Office and later serving as Chief of Staff to County Mayor Alex Penelas. Javier also worked as a litigation associate at Holland & Knight. 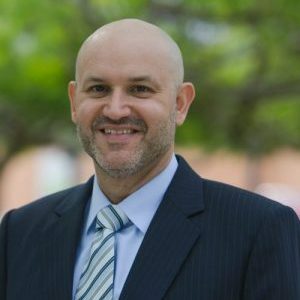 He is active on a number of community and professional association boards including: the Council on Foundations; America’s Promise Alliance; Knight Foundation’s Miami Community Advisory Committee; and the Orange Bowl Committee. Javier graduated from Florida State University with a B.A. in History and Political Science and earned his J.D. from Georgetown University Law Center. He is also a 2013 Henry Crown Fellow, a leadership program of the Aspen Institute that engages the next generation of leaders to develop community-spirited and values-focused leadership.